FERGUSON, MO — Workers, resident family members, and community leaders are joining together on Tuesday, January 9th, to issue an oversized “pink slip” for the Christian Woman’s Benevolent Association, which owns and operates Christian Care Home. The “pink slip” urges members of the ownership group to place management of the care facility in the hands of persons or an entity with the resources and experience to run the nursing home in a manner that upholds the rights of workers, which also is in the best interests of residents. The oversized notice, pink in color, calls for the Christian Woman’s Benevolent Association to “permanently replace” itself in its role of managing the facility–language that echoes the unlawful and unprompted notices that nursing home administration issued to striking workers just days before Christmas, notifying them that they had been permanently replaced. The “pink slip” will be circulated among community leaders and residents for signatures before being delivered to nursing home ownership later in the week. Striking workers will present the “pink slip” to the Ferguson city council on Tuesday night to ask council members and the mayor to sign it. Tuesday marks the workers’ 40th day on the strike line. 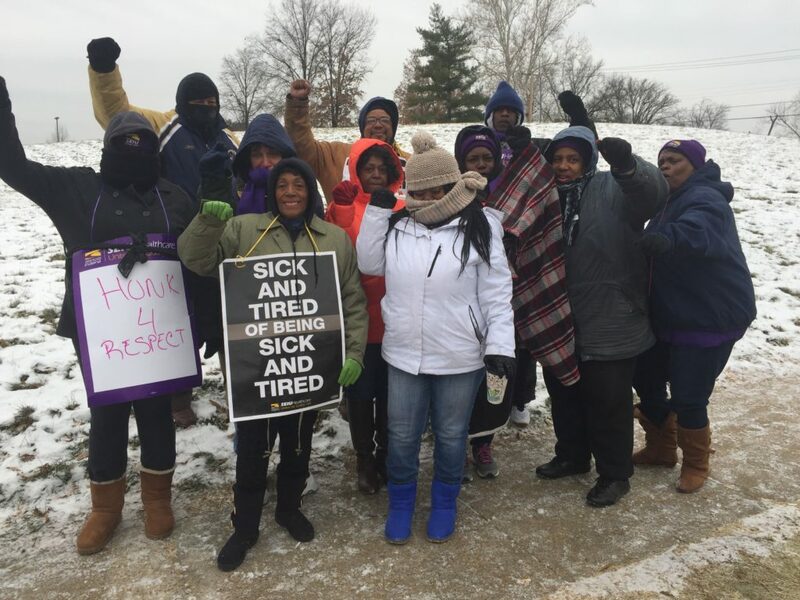 The workers, who are members of SEIU Healthcare Missouri and Kansas, started their unfair labor practice strike on Friday, Dec. 1 after the facility’s ongoing refusal to obey labor law and to bargain with the facility’s 100 workers in good faith and its unjust contract offers. Workers have filed multiple unfair labor practice (ULP) charges against Christian Care Home for allegedly making unilateral changes to staffing, hours and schedules, failing to answer grievances, cancelling scheduled bargaining meetings and not being available for bargaining, failing to provide relevant information in a timely manner, and otherwise restricting workers in the exercise of their rights. 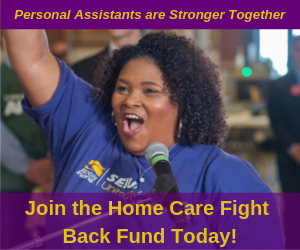 More recently, workers have alleged that Christian Care Home threatened recent hires with termination for joining the strike and denied accrued and earned benefits to striking employees. The National Labor Relations Board is currently investigating that charge.